Getting sober is an important step in breaking free from the cycle of addiction. But to achieve long-term abstinence from drugs and alcohol, individuals struggling with addiction need more than detox alone. Often they need admission into a highly structured, Partial Hospitalization Program commonly referred to as PHP for treatment to help them break the self-destructive cycle of substance abuse and develop their identity as a sober individual. Recovery Keys of St. Augustine and Jacksonville offers a Day Treatment / Partial Hospitalization Program that’s comprehensive and individualized. The program includes individual therapy, medical management from a board-certified addiction medicine doctor and an array of group and holistic therapies to heal the mind, body and soul. Recovery Keys’ Day Treatment / Partial Hospitalization Program (PHP) meets five days a week for a total of 20 to 25 hours. Recovery Keys accepts most private insurance plans for our outpatient addiction treatment programs. Financing options are also available to qualified applicants undergoing rehabilitation. Receive medical management by a board-certified addiction medicine physician. Learn new skills and tools, including ways to cope with frustration, anger and cravings, necessary to live a healthy and sober lifestyle. Get help with treating and effectively managing co-occurring mental health disorders such as depression, anxiety disorders or post-traumatic stress disorder. Receive treatment for chronic diseases such as pain conditions or other physical conditions. Address underlying issues that contributed to the development of the disease of addiction. Learn how to have sober fun, and how to develop friendships and communities of people who are also in recovery. Have opportunities to put new skills into practice so that they develop into healthy habits. Receive support and substance abuse counseling from therapists and counselors to heal physically, mentally and emotionally from the damage caused by addiction. Recovery Keys Day Treatment / Partial Hospitalization Program (PHP) is an intensive, comprehensive and highly structured form of treatment for addiction conducted on an outpatient basis. 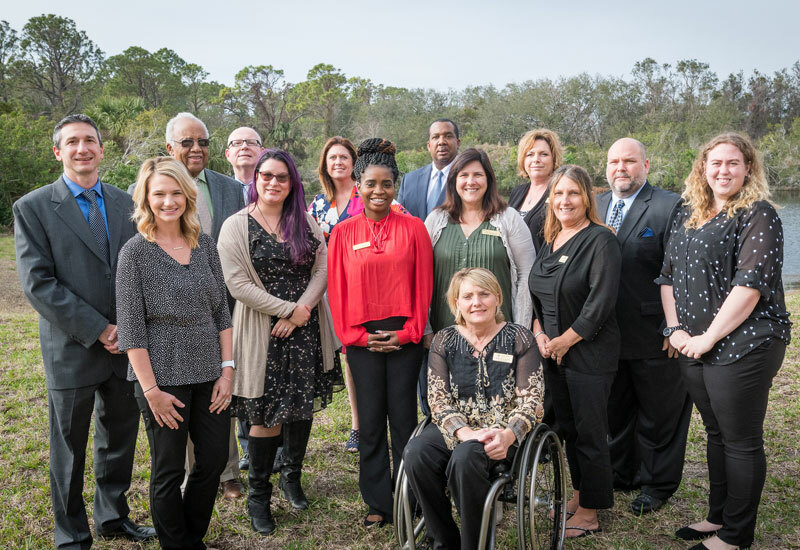 Led by board-certified physicians and a team of experienced therapists and counselors, Recovery Keys offers a Day Treatment / Partial Hospitalization option at our Joint Commission-accredited center in St. Augustine and our Jacksonville office. We have found that many people, even those with moderate to severe addiction, can successfully recover in intensive treatment without needing overnight stays. This allows patients to continue to live at home or in the home of a supportive family member. Living at home, where patients are the most comfortable and can continue to be a part of family life, is less disruptive than seeking treatment in a residential facility. Many patients appreciate having the freedom to come to treatment and go home at the end of the day. But it should be stressed that Recovery Keys’ Day Treatment / Partial Hospitalization Program is an intense behavioral treatment program, designed to lay the groundwork for healing and significant changes in attitudes, reactions to frustration or challenges, and ways of interacting in the world. Weekdays Monday through Friday, for approximately 20 to 25 hours (for patients who meet criteria to enter treatment with Recovery Keys). Depending on the severity of illness, this phase of treatment may be anywhere from 6 weeks to 10 weeks. Total of 20 to 25 hours of therapy and other programming. Morning session or afternoon session available. The Partial Hospitalization Program at Recovery Keys of St. Augustine and Jacksonville offers an array of addiction recovery therapies, including individual counseling, 12-step therapy and group therapy. Medical Director Jeremy Mirabile, MD, ABAN, FASAM, FAAFP, is an expert in substance use disorder evaluations, addiction medicine and medication assisted treatment. While medication assisted treatment is an option, Dr. Mirabile also believes in a holistic approach that allows many patients to achieve abstinence and long-term sobriety with the limited use of medication. In individual therapy, patients work through core issues, become educated about managing dual diagnoses, undergo neurocognitive retraining to learn new coping skills, and have a safe, confidential space to express their emotions, share their challenges and start making plans for the future. Multiple group therapy opportunities, including 12-step therapy, psychoeducational therapy, sober skills development and groups that focus on learning to live – and to enjoy life – as a sober person who is part of a community of sober peers. Holistic therapies such as mindfulness, meditation, biofeedback, self-hypnosis, nutrition and exercise programs to relieve stress and anxiety, restore a healthful balance, and give patients healthy alternatives to past harmful behavior. Recovery Keys accepts most private insurance plans for our outpatient treatment programs. Financing options are also available to qualified applicants. To learn more about the Day Treatment / Partial Hospitalization Program (PHP) call Recovery Keys at (904) 342-5965 today or schedule an evaluation now. We’re helping those struggling with drugs, alcohol and pain medications as well as co-occurring disorders overcome their addiction and begin a life in recovery.